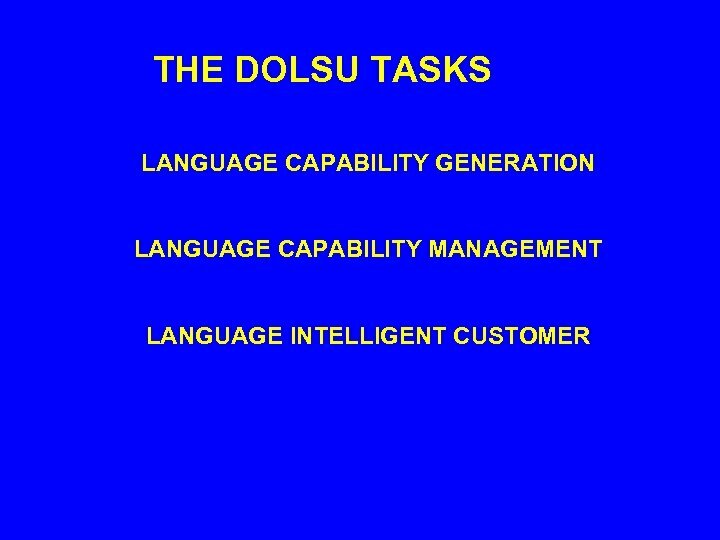 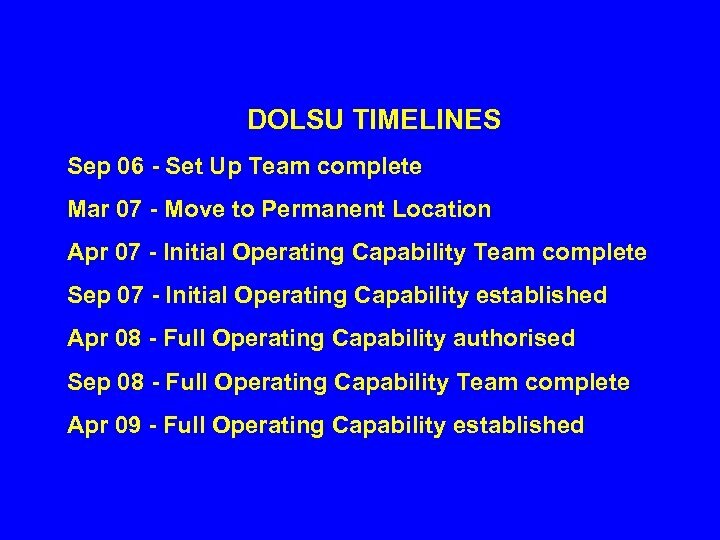 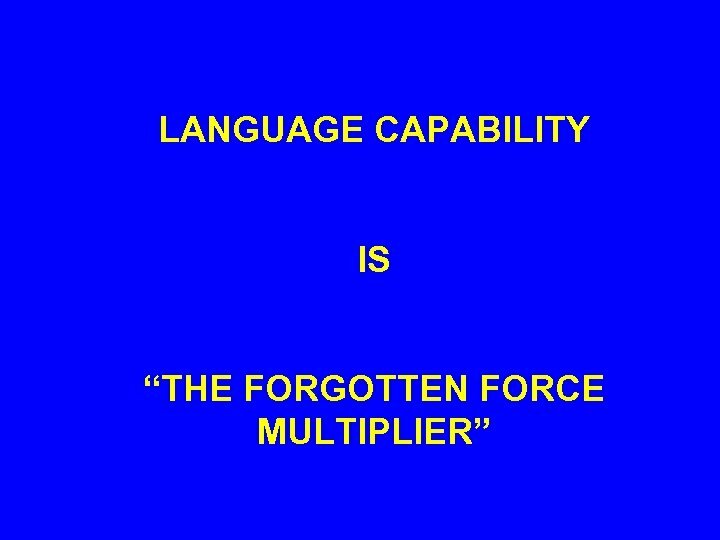 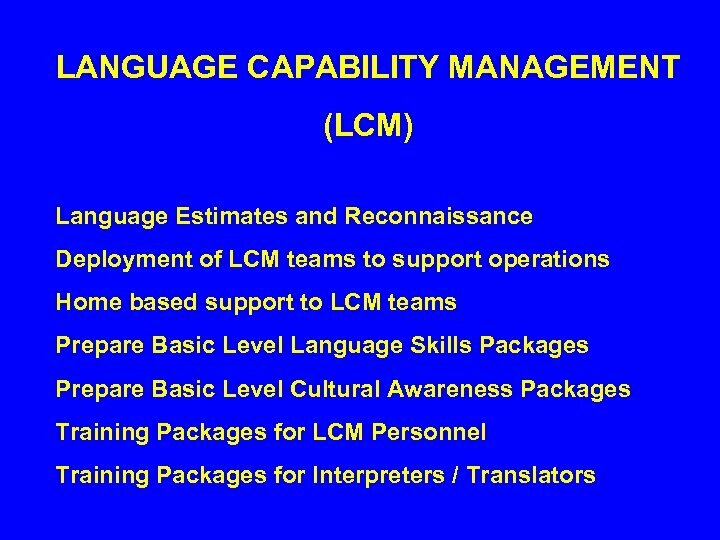 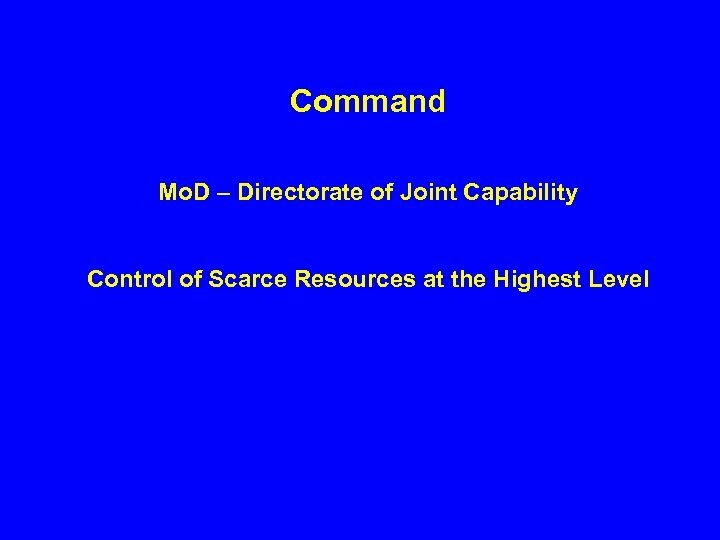 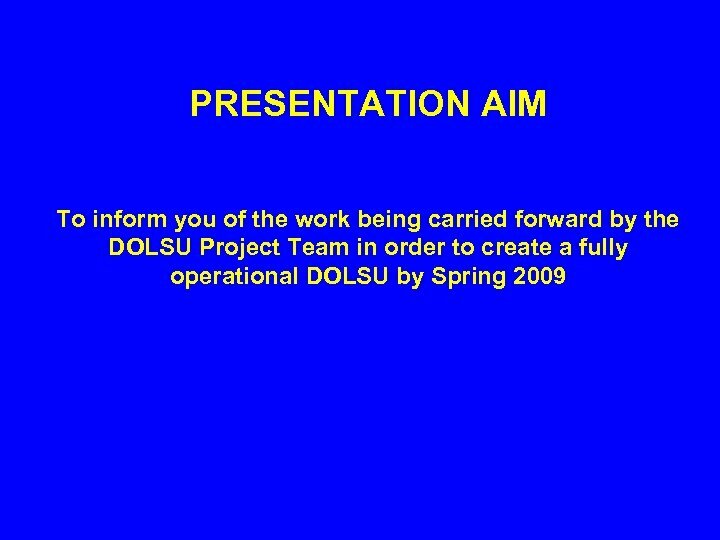 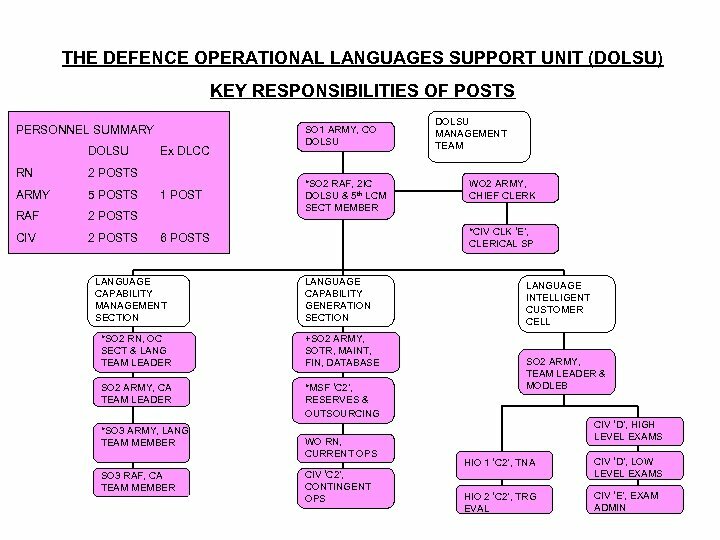 THE DOLSU MISSION The DOLSU will generate in a timely way, sustain and manage operational language capability in order to support joint operations. 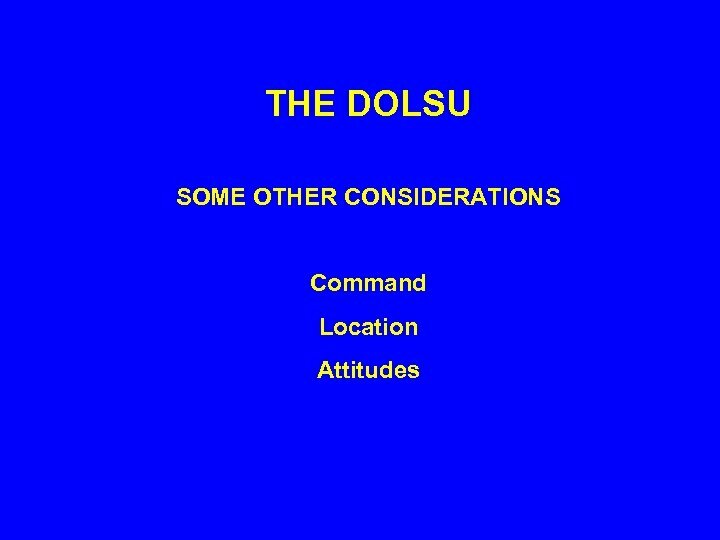 Location Choice constrained by available space Political constraints Working Relationships with Mo. 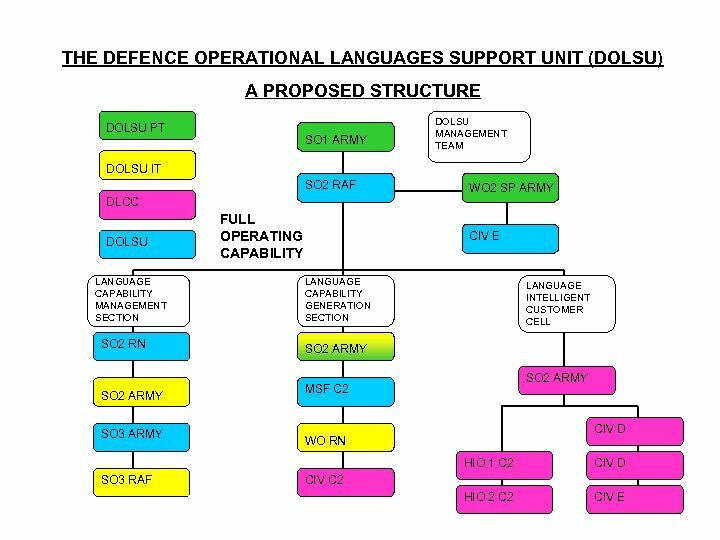 D, PJHQ, DSL, FLEET, LAND and STRIKE. 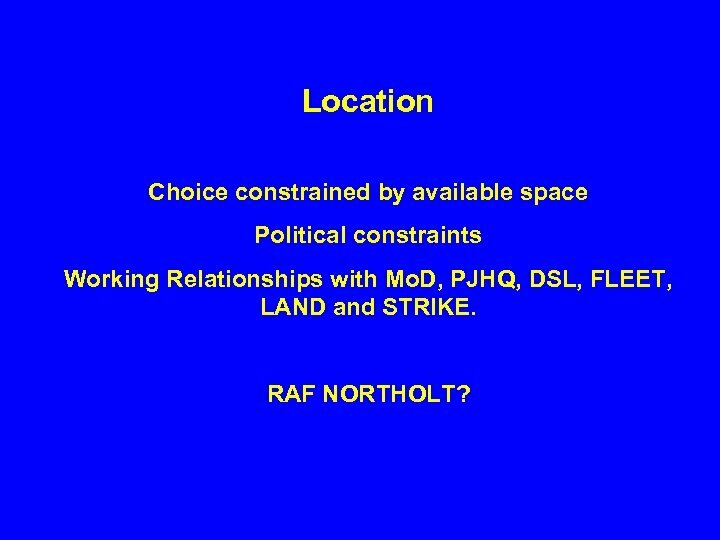 RAF NORTHOLT? 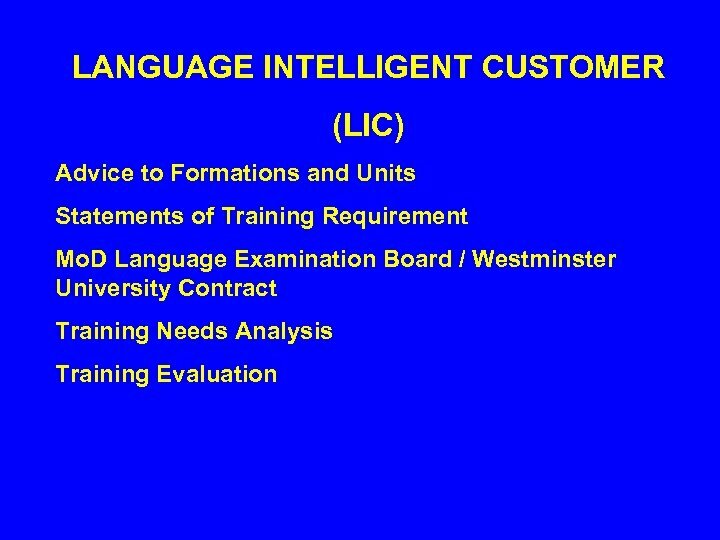 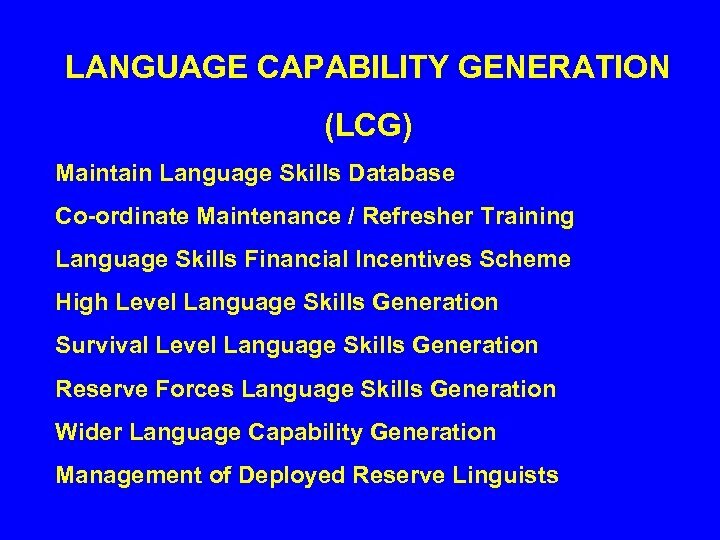 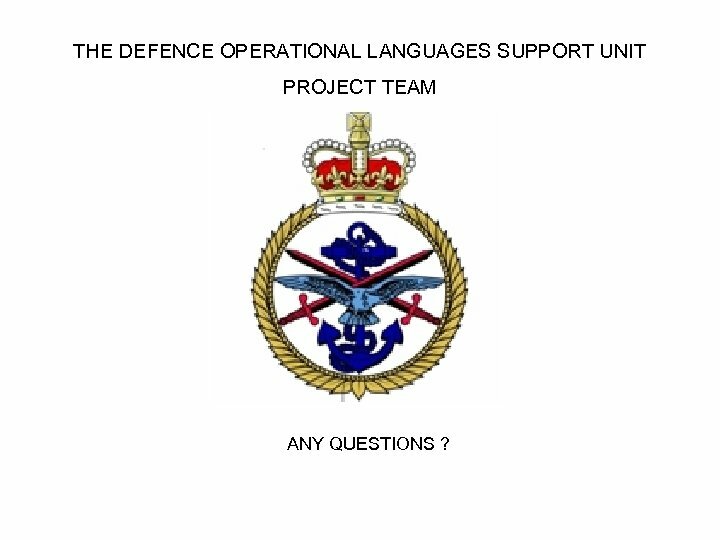 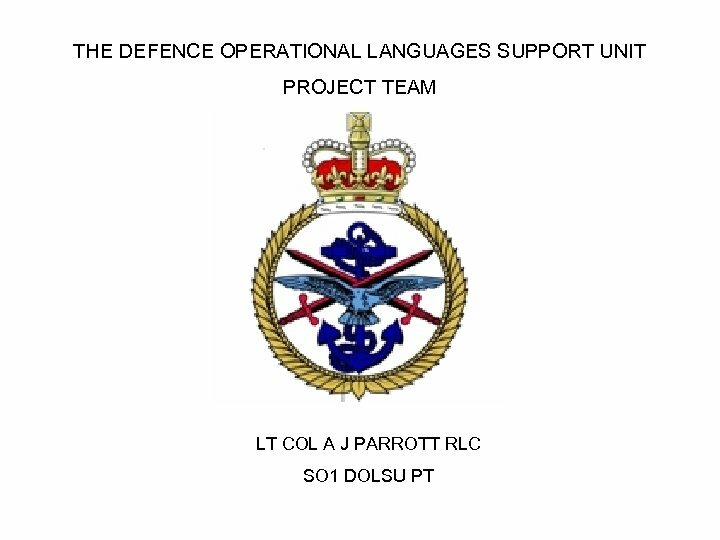 THE DEFENCE OPERATIONAL LANGUAGES SUPPORT UNIT PROJECT TEAM ANY QUESTIONS ?